It’s been a very blue month, so let’s celebrate today with some gorgeous orange! I’ve been wanting to experiment with some more splash-y flowers, and I decided to brighten up this month’s palette with some orange, red, and gold. The scanner flattened out a lot of the beautiful layering that you can see in the framed and detail photos (which means there won’t be any reprints, so if you want it, get it now!). 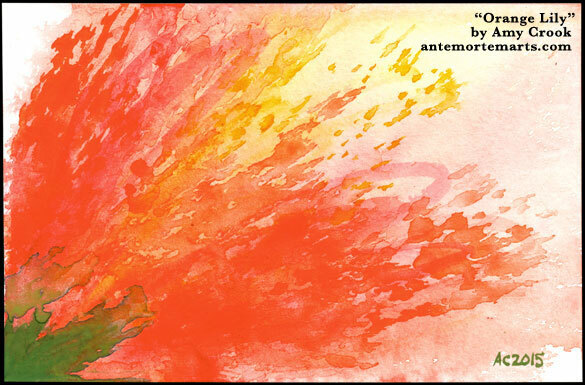 There’s a cool pinkish red mixed in with the deep and bright oranges and the warm gold, which really gives the impression of peering into an opening flower. The splash of green brings the image into focus, and the gold in the very middle makes beautiful stamen for this lovely lily. 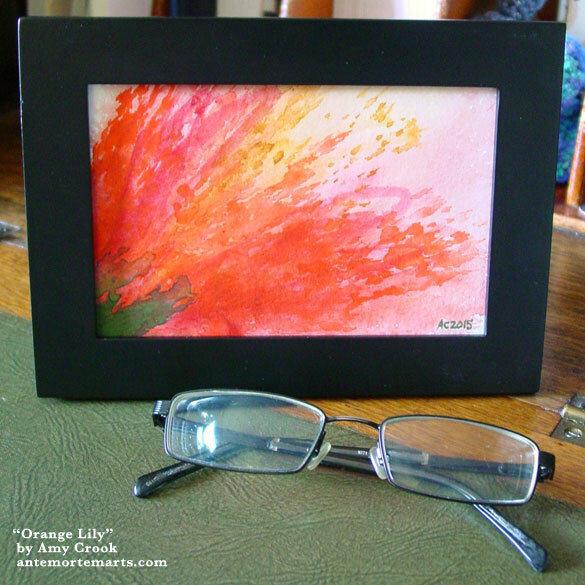 Orange Lily, 6″x4″ watercolor on Fluid watercolor paper. 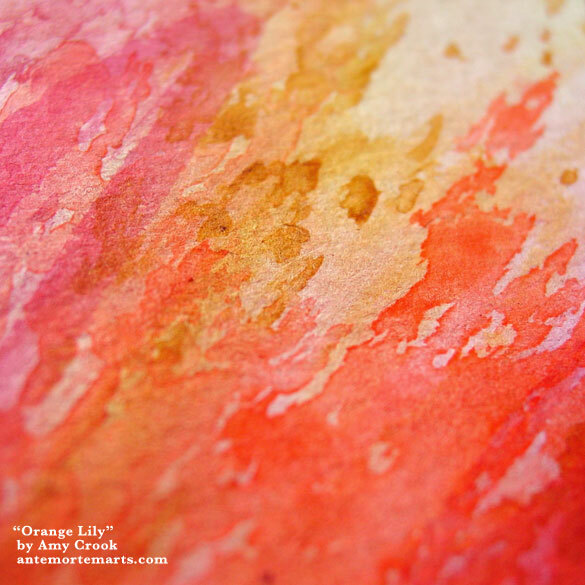 Above, you can see the beautifully layered oranges, reds, and golds that make this lovely lily so exquisite. Below, it’s been planted in a frame, ready to brighten your home or office.